Another ancestral tradition of the Catalan people consists in bringing children in front of this magic log called Cagatio (pooping log) so it "excretes" Christmas gifts. Yes, the wooden buddy is supposed to poop those hidden treasures that kids pick up from under a red blanket conveniently covering the figure. 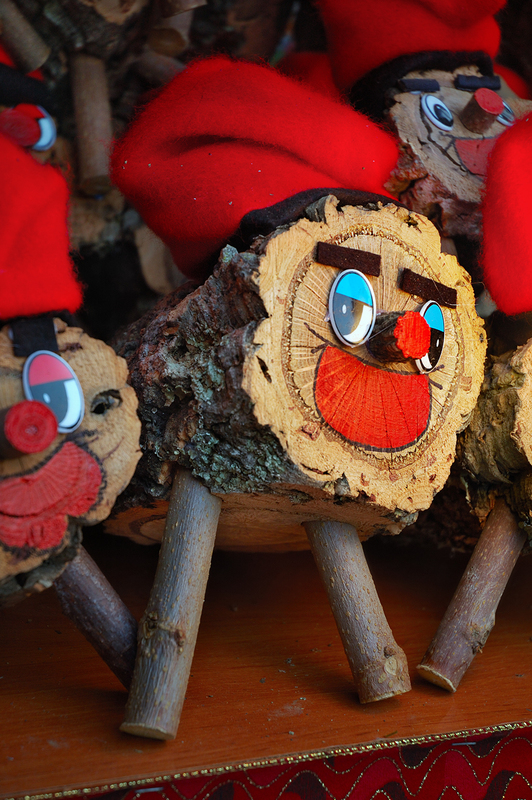 Before introducing their hands they are encouraged to repeatedly hit the log using a rod just in case, to warn the tió he'd better do as he's told. In the meantime, relatives or school friends, depending on the situation, sing this familiar song of which I will translate an excerpt. It is a folk song and popular lyrics tend to be rather "vulgar" so please overlook the many poops. First phrase is in Catalan and second in Spanish. Caga tió! -caga tió- poop tió! That's really funny! I like this series of the traditional gifts. Well, that was interesting and a very colorful Christmas photo. Also a Christmas item I've never seen or heard of before, so I learned something. Very nice! Carlos, no sabía lo del premio de VFXY Photos, enhorabuena y gracias una vez más porque me has permitido apreciar magníficas fotos de esta ciudad maravillosa. Muy bonita esta foto-retrato del tió :) Si es que tenemos unas tradiciones...nuestros tios los pobres ya no están tan lustrosos como el de la foto, a uno se le cae la pierna y a otro se la ha partido la nariz!